on eBay in March 2004. O and YES IT is The One With The BIRDS on at the start and the end. 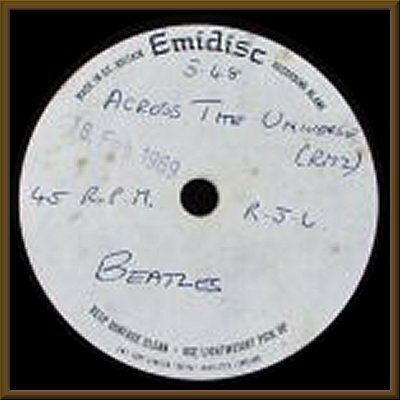 Across the Universe Mono.Mix . This is the only Acetate we think. Note the date stamped on the label..."18 Feb 1969". February 8, 1968 RM2 mix. 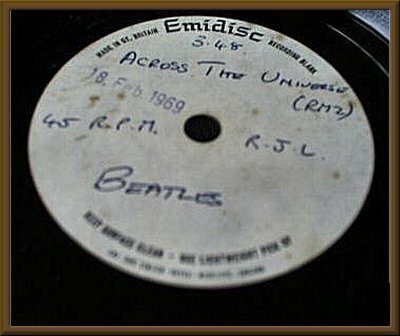 According to John Barrett, the master reels for that EP were prepared on March 13, 1969.
that an EP was planned (RS pg. 164). "O and YES IT is The One With The BIRDS on at the start and the end." Well...both Barrett and Lewisohn document the World Wildlife Fund version (with birds etc.) as prepared October 2, 1969 (RS1 & RS2). In addition, Barrett notes "RS1 WITHOUT SFX". I take SFX to mean 'sound effects'. So it would seem that RS2 is the ONLY mix with the bird effects. Based on documentation, I don't see that's it's possible for an RM2 to exist with the bird effects. 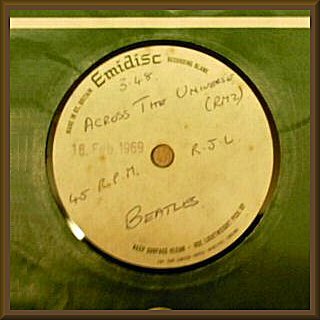 But...we have a playback of "Across The Universe" from the Twickenham session of Jan. 7, 1969 [DDSI 7.135] that includes the birds. such (the date Lewisohn says the bird version was made). 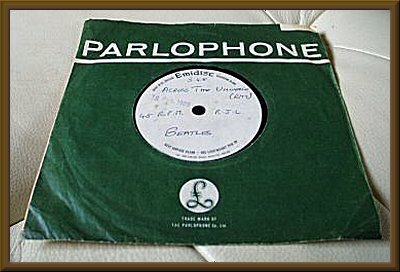 Apparently, the idea for a charity album was born as early as December 1967 by Spike Mulligan and John agreed to contributing this song as early as February 1968. Which mix was planned for the "Yellow Sub" EP. Is there an undocumented, late 1968, remix? 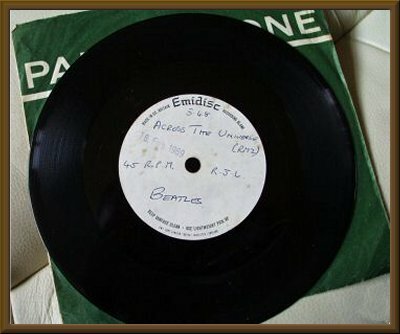 Barrett dates the master reels for the EP as 13 March 1969. Did he misdate 13 March 1968? Is it possible that the birds were added as an effect for the "Yellow Sub" movie and subsequently not used but then thought appropriate for the charity album? Based on the available early mixes, it would seem the birds are not on the first recordings as could be implied by Barrett. 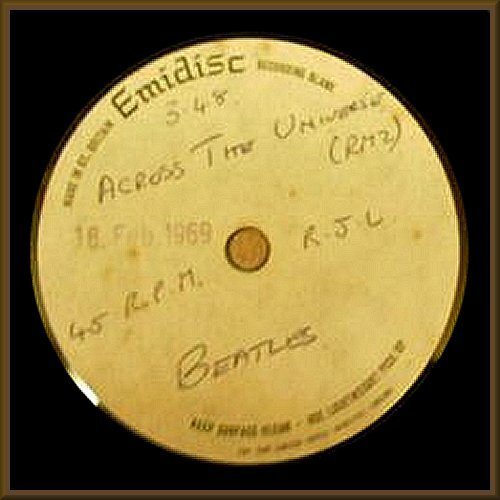 lists track 10 as "Across The Universe - Acetate bird version, February 4 & 8, 1968". However, Bootleg Zone, while calling it "RM2", states that it is simply the "Hum's Wild" version. I don't have "The Making Of..." release. Can anyone clarify? All further mixing was done by Phil Spector.